The Defence Research and Development Organisation, India was abuzz with activity as an important project was underway. During this time a scientist at DRDO requested his senior to allow him to leave at 5:30 as he had to take his kids to an exhibition. The kind-hearted superior granted him permission. However as the clock approached 5 the employee got engrossed in work and lost track of time. It was only at 8 that he realized he had missed the opportunity to take his kids to the exhibition and returned home dejected. Only to his surprise his kids were not there. When he enquired his wife she told him how his manger had come at five and took the kids. Do you know who this compassionate and selfless senior official was? 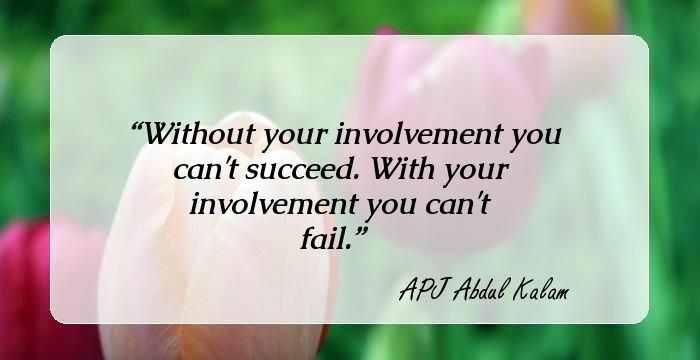 It was our beloved former president A. P. J. Abdul Kalam. He was not only a scientist par excellence but he was also an embodiment of selflessness and simplicity. Such was his humility that once when he was delivering a lecture to students the power went off and instead of throwing a tantrum he got down from the podium and walked to the students. The President then went on to complete his lecture amidst a huddle of students. 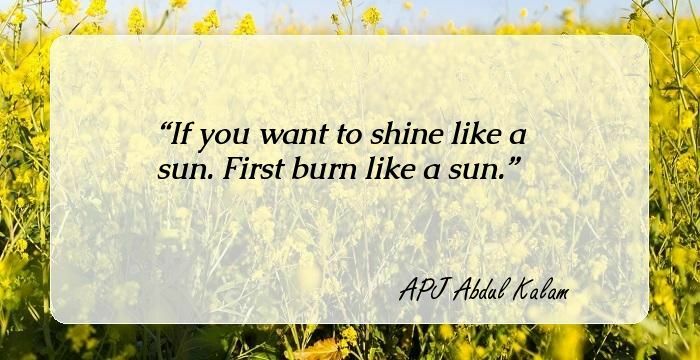 Read a few golden words uttered by the famous scientist to fire your wings. 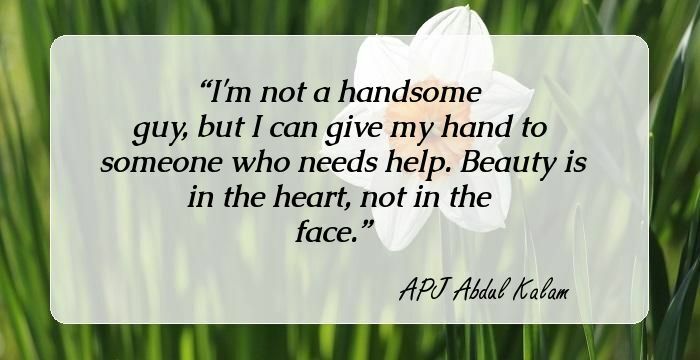 I'm not a handsome guy, but I can give my hand to someone who needs help. Beauty is in the heart, not in the face.